Online ordering menu for India's Best Restaurant & Bar. Welcome to India's best Restaurant & Bar, Littleton's family-owned and operated Indian gem. Here at India's Best, our joint family of twelve is keen to provide our customers a delightful and delicious experience by passionately preparing Indian dishes using our secret family recipe of love and kindness. We pride ourselves in our flavorful plates including Indian classics like Lamb curry, clay oven Tandoori Chicken, and Fish Masala. Locals also love our made-from-scratch Butter Chicken--prepared with chicken and herbs, ground spices and smothered in a homemade butter sauce. 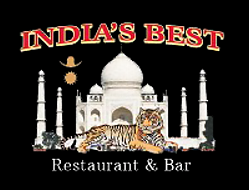 India's Best Restaurant & Bar is located near the corner of West Littelton and South Datura Street in the Woodlawn Shopping Center, just a few blocks North of the Littleton Museum. Order Online Today!